Gone are the days when you could select a phone system based on a couple of key features. In today's business world of BYOD and global workforces, you need a solution that will keep your team connected and integrate with the applications you use to run your business. With a cloud-based phone system, you have the opportunity to combine business workflow and call flow as well as address the integration requirements needed for "next gen" phone system management. 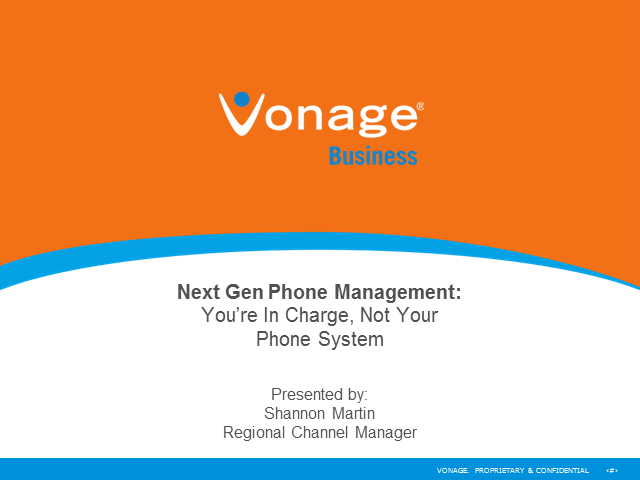 From app integration to self service portals, Vonage has created a next gen Cloud PBX to assist 1 to 1000+ employees. Join our webinar to learn how to manage your phone system and become more efficient with integration and mobility features.